The World Mountain Running Championships is being held in Temu, Italy, on Sunday, September 2, 2012. The Canadian team will be flying into Italy over the next few days to get settled into their accommodation and pre-run the course. This year's race is an all uphill race, seeing the Junior Men and Senior Women running 8.8 km and climbing 760 metres, and the men running 14.1km and climbing 1150 metres. The races start in different Italian towns along the route and eventually climb up to the Tonale Pass, a popular Italian skiing destination at just under 1,900 metres (6,000 feet). Canadian team leader Adrian Lambert will be sending back updates closer to the race and reports on how the Canadians fared. 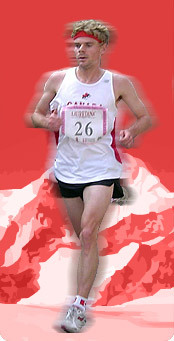 Follow the Canadian team on Facebook in the group "Canadian Mountain Running" or check back here for the updates. Senior Women Mirabelle Tinio - Shannon Penway - Stacey Cleveland - Catrin Jones.